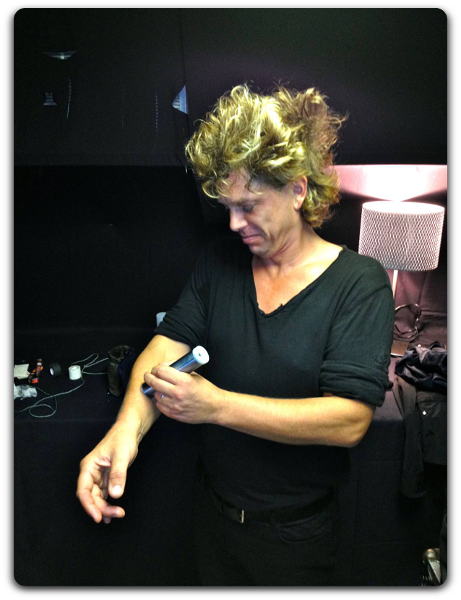 "After drumming three hour plus shows the VitaSoniK® pen really helps ease muscle fatigue in my arms, and heal damage to soft tissue in my hands. It speeds up the recovery process so I am ready to play the next show"
That is quite an original finding! That is why the forums is all about! This looks interesting but what does it do exactly? Just realised that it's a German website, only Jason's text is in English! Well from what I gathered it uses "ultrasound". You press the "sonic head" into your muscle tissue, so that the ultrasound reaches the regions it is supposed to reach. Apparently it helps, as Jason describes. I have never heard about this fascinating therapy and it doesn't seem to have side effects from what I am reading. The idea that these soundwaves go into the body and heal the cells and bones blows my mind.